Peat soils, also referred to as organic soils, are typically found in low areas with poor drainage. Peat soils are not common in Canadian agricultural production areas. However, they can be found in horticultural areas of Ontario and the northern and eastern areas of the Prairies. 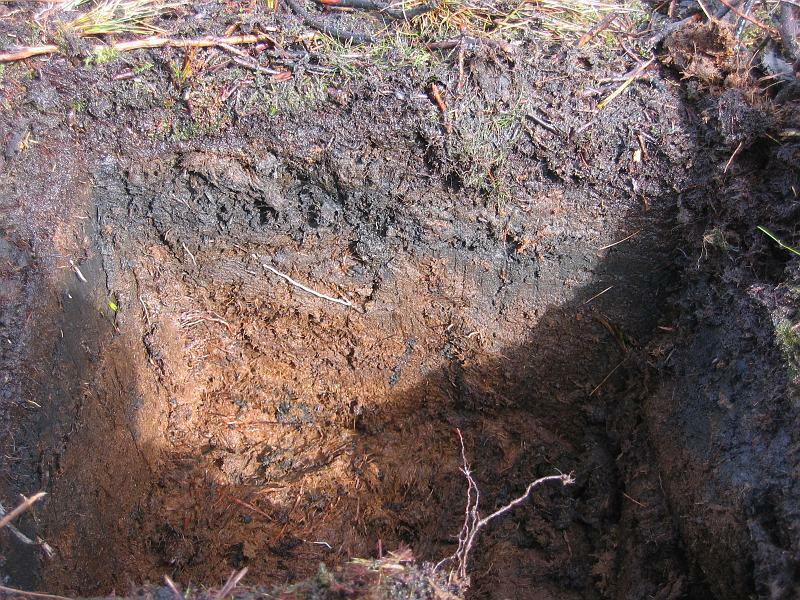 Peat soils were formed during low oxygen conditions that resulted from deglaciation in the Canadian Prairies. The formation of peat is a lengthy process caused from greater rates of plant production than decomposition, in combination with poor drainage, or a high water table. Typically, peat soils are found in marshlands but are becoming increasingly prevalent in agriculture as they are being drained for production. Peat soils vary greatly in acidity and fertility, affecting their suitability for crop production. Challenges of agricultural production on peat soils include waterlogging, low fertility and typically high acidity, however, this can be variable. Peat soils that are less acidic will have larger amounts of plant available nutrients. Organic soils are also susceptible to a phenomenon called subsidence. Subsidence describes a lowering of the soil surface elevation which leaves this soil type highly prone to rapid soil erosion and degradation. It is assumed that even under optimal soil management, organic soils subside 2-5cm each year. The majority of organic soils are found in horticultural production areas such as Ontario. The University of Guelph’s “Muck Crops Research Station” has done extensive research examining crop types suitable for use in muck soils, although the majority are vegetable crops. The Ontario Ministry of Agriculture, Food and Rural Affairs has listed corn, sugar beet, peas, grasses and small grains as being adapted to organic soils. Crop suitability may be limited by the water table height. Drainage may be necessary for crop production, however, there can be many environmental risks and limitations. Alternatives to drainage include; planting forages in your rotation or if the areas of peat are extensive, putting the land in to pasture. Draining wetlands can result in significant soil Carbon losses. Due to the instability of peat soils, good soil management practices should be used. Utilization of fall seeded cover crops is highly recommended in order to reduce wind and water erosion. If there are existing wetlands in the surrounding areas, vegetative buffers between cultivated areas and wetlands should be used in order to maintain the health of the wetland ecosystem. Despite peat soils occupying a relatively small percentage of agricultural land, they are a beneficial soil in our ecosystem. They must be managed properly in order to avoid environmental risks and placing future limitations on the productivity of the area. Written by: Katherine Stanley, University of Manitoba.